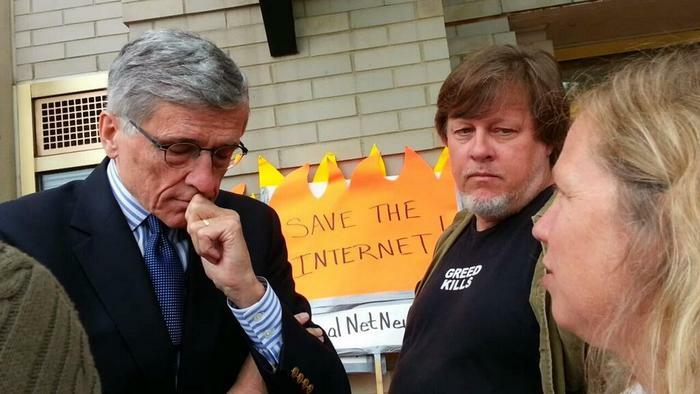 The six net neutrality lawsuits: What are the complaints about? The FCC's net neutrality rules go on trial Friday as oral arguments begin in 10 lawsuits that could dramatically change the way Internet service providers are regulated. In February, the Federal Communications Commission voted to ban service providers from giving some content preferential treatment. It also reclassified broadband as a communications service, similar to old-fashioned telecommunications except with exemptions from pricing and other regulations. The rules went into effect in April but soon faced a barrage of lawsuits by carriers and industry groups that want to see them gutted. The suits were combined into one proceeding in the federal appeals court in Washington, where opening arguments will start Friday. If the court agrees with opponents of the rules, the long-contended question of how service providers can treat different types of traffic could be opened up all over again. If the FCC prevails, complaints and enforcement actions that may have been held back pending the legal challenges might start to emerge. Net neutrality advocates had argued for years that Internet providers shouldn't be allowed to discriminate against websites or content companies or sell them a faster path to subscribers' homes. The strongest medicine activists prescribed was to classify broadband under Title II of the Telecommunications Act, changing it from an information service to something closer to the traditional phone service. The FCC had rules in place to prevent discrimination, but the Washington appeals court shot those down early last year. The agency had to start over again and last year asked for public comment on how to do it. In February, after nearly a year and more than 3 million comments, it voted to ban blocking or throttling of services and to impose Title II regulation, with some exceptions. For one thing, the FCC said broadband won't be subject to utility-style price regulations. Opponents of the new rules say they'll hurt consumers' Internet service in the long run by discouraging investment in new and better networks. Those taking the issue to court include AT&T, a regional carrier in Texas called Alamo Broadband, and several major trade groups, including the wireless body CTIA, the U.S. Telecom Association and the National Cable and Telecommunications Association. The legal arguments behind the various lawsuits cite both procedural and constitutional issues. One argument opponents make is that the FCC didn't follow the Administrative Procedure Act, a 1946 law defining how federal agencies can make new regulations. The agency didn't build up enough of a record to support the decision to reclassify broadband under Title II, and it didn't provide enough advance notice that it would do so, some of the arguments say. The FCC has countered that it raised the Title II issue in its call for comments and issued a 400-page order when it passed the regulations in February. The plaintiffs are also expected to argue that the rules violate service providers' First Amendment rights to free expression by forcing them to carry other parties' content with the same performance they give their own. And they may say the agency violated the Fifth Amendment by taking their property for public use without "just compensation." In addition to the FCC, net neutrality backers will be in court Friday to argue in favor of the rules. Consumer group Free Press said Thursday it would represent nearly two dozen advocacy groups and tech industry leaders there. It cited the First Amendment as a reason to keep the new rules in place. "These providers want you to think that the First Amendment gives them the freedom to act like the Internet's editors, with the right to censor all content that crosses their wires," Free Press Policy Director Matt Wood said in a statement. That's a dangerous misreading of the constitution, he said, because carriers are supposed to enable connections without editing what goes over them.